Brady and Mary Tengberg wanted to travel the world without going beyond their means. That’s why they started saving credit card rewards together. “Our whole desire of getting credit cards is based on: We both want to travel, but it didn’t fit in our budget, so we had to find some other way to travel,” says Brady, 24. The Tengbergs, now married for three years, have visited 10 countries together, mostly using credit card rewards to pay their way. They never carry a balance, paying their bill in full every month. For the Tengbergs and other couples who travel extensively together, credit cards can deliver a windfall in rewards. But maximizing benefits as a team across multiple cards requires constant communication, careful strategizing and, in some cases, expert-level budgeting. 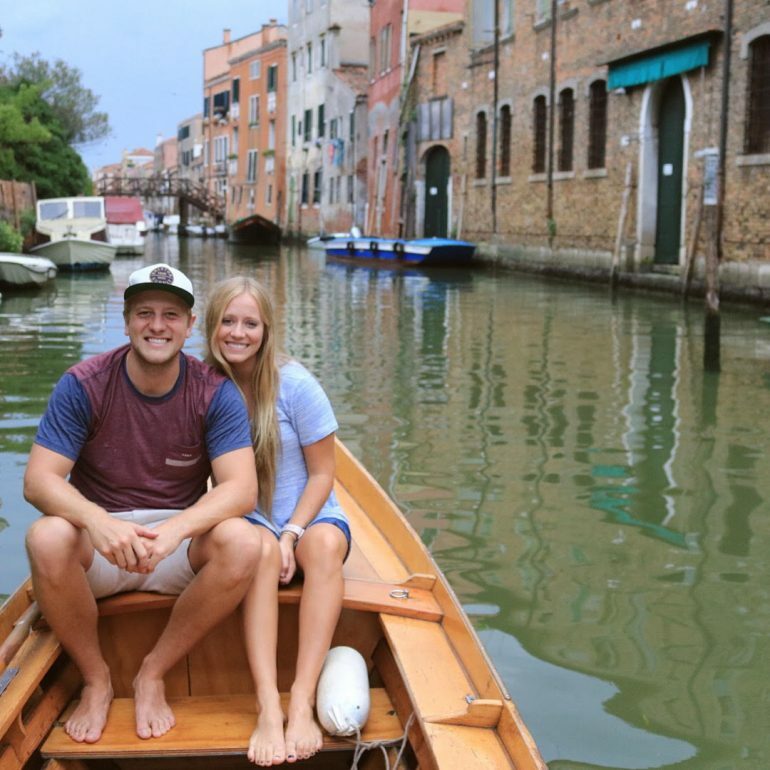 Here’s how these globe-trotting couples manage their credit cards together. Married for three years, together for six. Number of credit cards: Brady has 18; Mary has 15. Most-used cards: The Chase Sapphire Reserve®, the Chase Freedom Unlimited®, and the Starwood Preferred Guest® Credit Card from American Express. The Tengbergs, who run the personal finance blog The Credit Kids, got married in college and, when interviewed, were about to move to Dallas. (They’ve since made the move.) That’s where Brady, who recently graduated, plans to start his full-time job as an associate consultant. Mary, who graduated last year, works as a special education teacher. They’re expecting their first child, a girl. This summer, they’ve done plenty of traveling, visiting Canada, Hawaii and Europe. Most recently, they flew business class to Europe, where they traveled for three weeks, visiting Denmark, the Netherlands, Italy, Switzerland and Sweden. On the three trips, they paid for all their flights and hotel stays with credit card rewards, Mary says. “It’s our last summer of freedom, so we tried to get in as much traveling as we could,” she says. “We decided early on in our marriage that we wanted to have completely joint finances,” Brady says, noting that they keep a joint checking and savings account and budget together. “We think it really helps us be on the same page as a team.” They each apply for credit cards independently to earn separate sign-up bonuses, but they decide how to redeem their rewards together. The Tengbergs use Mint, the budgeting app, to track their budget and keep tabs on their 33 credit cards. At the moment, they’re saving for a down payment on a house, which they plan to buy in four to five years. “On any given day, we can both get on to Mint and see how much we have left in [our budget for] shopping or travel or anything like that,” Mary says. Together for two years; engaged to marry in October. Number of credit cards: Christian has three; Annabelle has two. Most-used cards: The Chase Sapphire Reserve®, the Southwest Rapid Rewards® Premier Credit Card and the United℠ Explorer Card. Christian and Annabelle are currently on a year-long road trip, touring the U.S. in an RV they’ve nicknamed “Gulliver.” Originally based in Denver, they co-host a travel and lifestyle podcast called Swept Together. Annabelle owns a video-editing business, and Christian is a project manager who works remotely. They plan to marry in Belize in October, mostly using credit card rewards and benefits to pay for their travels. Last year, they made their first major credit card decision together: qualifying for the sought-after Southwest Companion Pass, which allows the pass-holder to take along one companion for free on Southwest flights for more than a year. 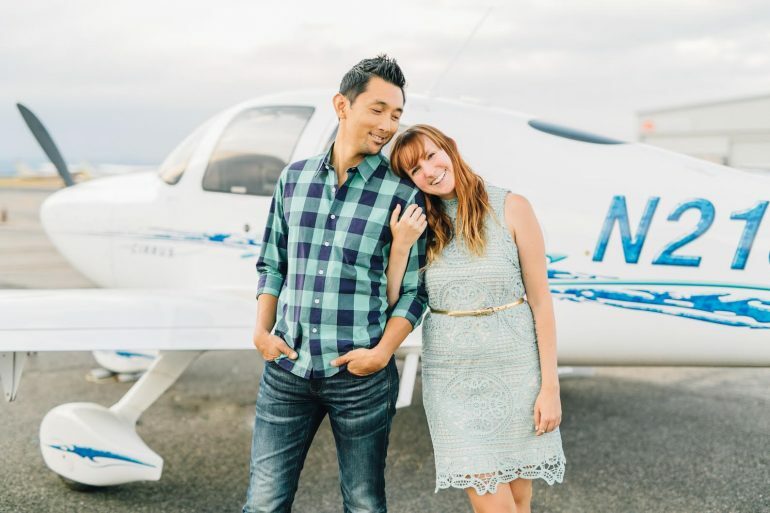 They met the requirements after Christian earned two Southwest credit card sign-up bonuses. Since then, they’ve used the pass to fly to several destinations, effectively for half price, visiting California, Texas, Kentucky, Nevada, New Mexico, Illinois, Florida, Mexico, and Belize. Annabelle notes that they sync all their accounts — joint and separate — on the app YNAB (You Need a Budget) and regularly sit down to budget together. These days, they always pay their credit card balances in full, Annabelle says. But when they first got together, Christian was carrying credit card debt from a previous marriage. Together for 13 years; married for three years. Number of credit cards: Gerard has six; Kieu has five. Most-used cards: The Chase Sapphire Reserve®, the Chase Freedom® and the Chase Freedom Unlimited®. Their most recent trip abroad was their first as a family: a month-long journey through Europe with their baby daughter, Dylan, who was born in April. They planned around a business trip Gerard, who works in marketing, already had scheduled in Amsterdam. Kieu, who works in corporate retail, was on maternity leave. For the Europe trip, Gerard and Kieu used Chase Ultimate Rewards points, which they converted to United Airlines miles, to cover the flights. In addition to the Netherlands, they visited Belgium, France and Denmark. The Baos use credit cards to earn rewards, not to carry debt. They often use points and miles earned from credit card sign-up bonuses to cover their trips, and they consult each other before applying for new cards, though they manage their accounts separately. Top photo courtesy of Mary and Brady Tengberg. Middle photo by Alicia Lewin Photography, courtesy of Swept Together. Bottom photo courtesy of GQ Trippin.